Selfies have transformed from a guilty pleasure to a viable way of taking those special Kodak moments without bothering strangers. But while selfies may be all the rage, they are not the easiest to capture. From contouring your hand into an awkward super-uncomfortable claw to make sure everyone's in the frame, mastering the art of selfies does not happen overnight. 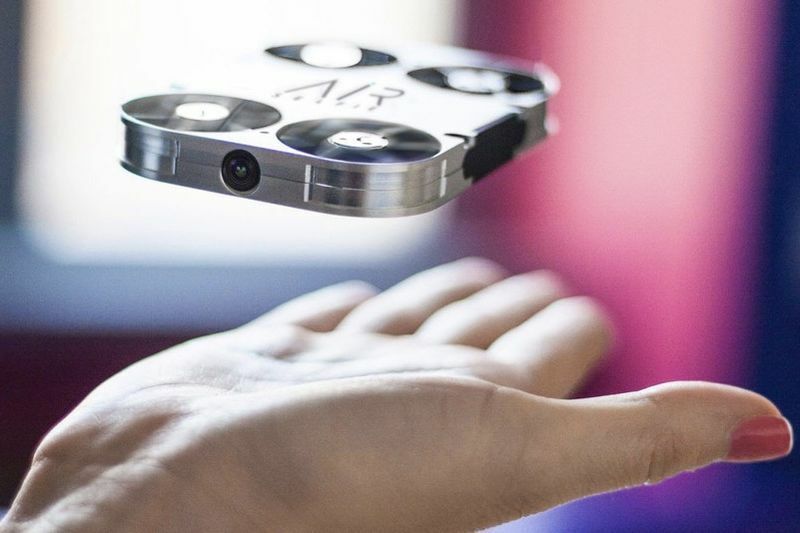 The Air Selfie Drone is an innovative gadget that does the legwork for you. With this selfie drone, the days of unintentionally cropping someone out of your photos are over. Once you sync the gadget up with your smartphone, you can steer it to a picture-perfect angle. Air Selfie's drone can ascend about 30 feet in the air, so it is great for stunning aerial shots, sprawling landscapes, and of course group pictures. The drone boasts an anti-vibration shock absorber, 5MP camera and video that can stream 1080 pixels at 30 frames per second. Best of all the Air Selfie's drone is about the size of your palm, so you can stick it in your purse or coat pocket. Have a look at the video to see the Air Selfie Drone in action.